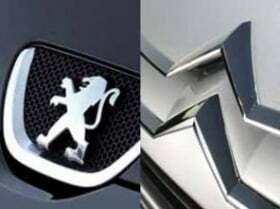 PARIS (Bloomberg) -- PSA/Peugeot-Citroen plans to announce soon a venture with China Changan Group Co., the parent of Ford Motor Co.'s Chinese partner, said PSA CEO Philippe Varin. “We're in advanced discussions, and we'll announce something as soon as we can,” Varin said at an industry event in Paris on Wednesday, when asked whether PSA had reached an agreement on a partnership with Beijing-based Changan. PSA and Changan agreed on the outlines of a plan for joint vehicle production in China, according to three people familiar with the matter, who asked not to be identified because the talks are confidential. China Changan is the parent of Chongqing Changan Automobile Co., Ford's partner in China, which overtook the U.S. as the world's largest auto market last year. Under the agreement, PSA and Changan will each own 50 percent of the venture, which will use an existing factory in Shenzhen owned by Harbin Hafei Automobile Industry Group Co., the carmaker that merged with Changan last year, according to one of the people. The venture will produce passenger cars as well as light trucks, allowing PSA to enter the fast-growing Chinese market for delivery vehicles, another person said. PSA already assembles models including the 308, 408 and Citroen C5 in an existing Chinese partnership with Dongfeng Motor Group Co. CEO Varin is focusing the Paris-based company's overseas expansion efforts on China, where the law allows foreign carmakers to have two local partners. PSA is also planning a third factory with Dongfeng as their two existing plants in Wuhan, eastern China, approach their limits, Varin said. The two plants' combined production will be at least 350,000 vehicles this year, out of an annual capacity of 450,000, he said.